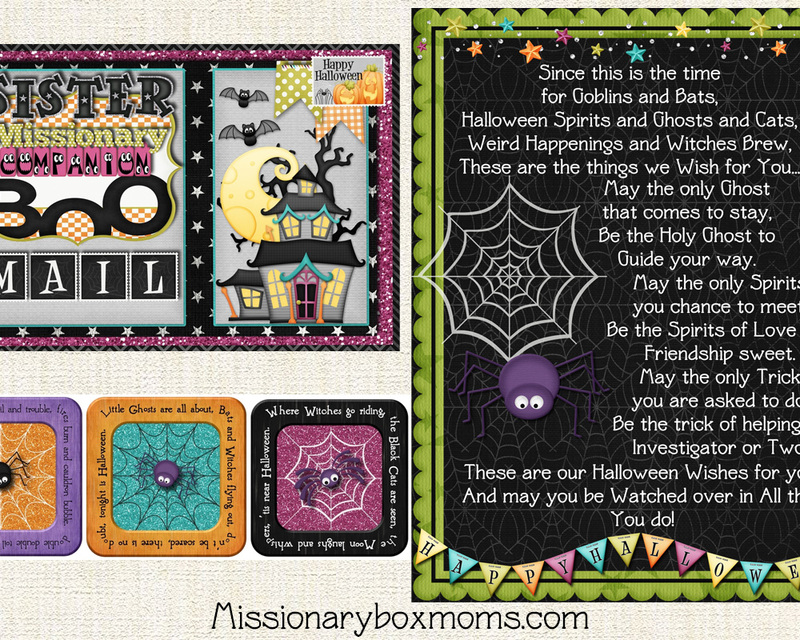 This ‘Halloween Preach the Gospel to Every Creature’ kit was designed to help you put together a Spiritual & Fun Halloween Care Package that focuses on ways for your Missionary to have fun as they teach the gospel. The Box Flap Designs & Printables have over 50 beautifully-coordinated pieces – all for only $21.95. We can also customize your kit with the name of your Missionary and their Mission Name for an additional $5.